A version of this article appears in the Queens Daily Eagle. 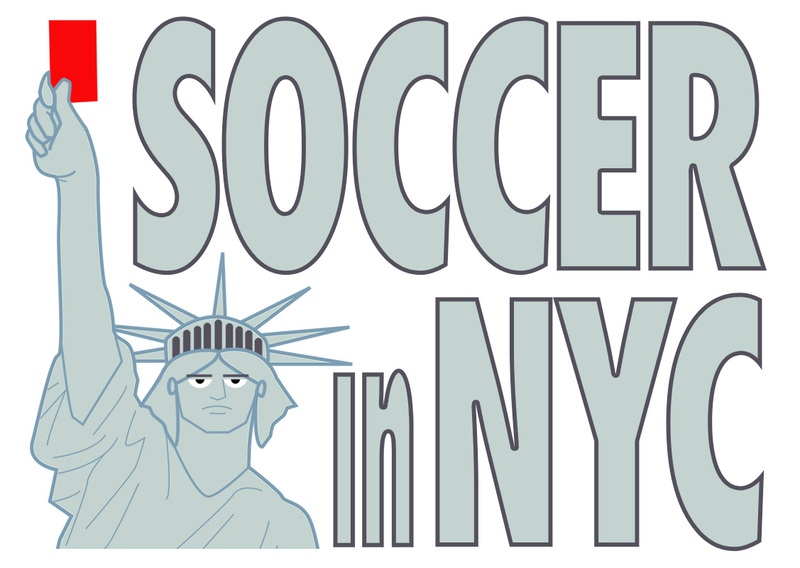 Back in May, I wrote about the 9 Worst Soccer Fields in NYC. The one that stuck out most to me was my local field: Grover Cleveland Park in Ridgewood. “The caged field atop Stanhope Street in Ridgewood attracts a lot of players — and you can tell by the turf. A huge chunk of green rug has been almost entirely churned up and ground down. There is no rubber insulation. It’s just threadbare carpet atop asphalt. But here’s some good news for those knees — and ankles. hips, elbows, heads — in Ridgewood and across Queens: five ailing parks and fields will get new turf surfaces as part of a $27 million allocation to the Parks Department. NYC Parks Commissioner Mitchell J. Silver announced the projects Monday. Overall, eight fields citywide were selected based on an assessment process that reviewed the conditions, the scope of work and the projected costs. Grover Cleveland is one of the five Queens parks set for a new surface — Thank God. Maybe my calls to the Parks Department and my article here actually had some influence. The other parks set for a rehab are Flushing Meadows Corona Park’s field 8 and field 9, Pals Oval in Ozone Park and St. Michael’s Playground in Woodside. “These upgrades will allow families and athletes alike to take advantage of valuable recreational public spaces,” said District 23 Councilmember Barry S. Grodenchik, chair of the City Council Committee on Parks and Recreation. As I noted in May, Grover Cleveland Park was particularly ragged, with a thin layer of turf carpet tearing off the concrete beneath. In certain places, the threadbare turf was worn away to reveal the hard surface, posing a danger to players. Overall, Parks has installed about 160 turf fields in New York City. Councilmember Peter Koo hailed the allocation of funds and noted that soccer is one of the most popular sports in Flushing, the neighborhood he represents. Enter your email address to join the Dear Gyan Supporters' Club and receive email updates.